N5183A MXG SIG GEN 32GHZ. Condition is New. Shipped with USPS First Class Package. Agilent / HP / Keysight 85027E. 10 MHz to 26.5 GHz. Directional Bridge. 50 ohm, 3.5mm (M-F). Bulkhead Mount Adapter. SMA (F) 50 ohm to Type N (M) 75 ohm. Agilent / HP 8711A-K98. For sale is a USED HP Agilent 16702A Front Panel Keyboard LCD. It has been removed from a working 16702A. Pictures are of the actual 16702A Front Panel Assembly that you will receive. You only get the 16702A Front Panel Assembly. Agilent / HP / Keysight 773D Standard Unit. Directional Coupler. 20 dB Coupling. 2.0 to 18.0 GHz. 30/27 dB Directivity. SPDT Coaxial Switch. 5 VDC, SMA (F-F-F). DC to 4.0 GHz. 1 Watt CW. 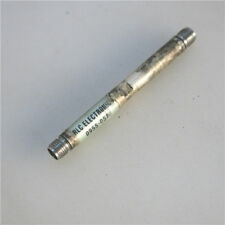 HP / Agilent 11094B 75 Ohm, 1 W, BNC (M-F), Feed-Thru Termination. Tested! HP / Agilent 11094B. 75 Ohm, 1 W, BNC (M-F). 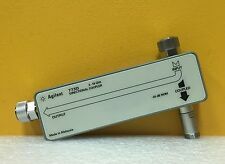 Agilent N2263A. TTL Compatible. 32-Bit Digital Input/Output Module. Agilent / HP G2581-65410 (G2581-65411) SC4+ Tray Assy For 6520B. New in Box! For 6520B Series ToF Systems. SC4 Serdes, Tray Assembly. Agilent / HP G2581-65410 (G2581-65411). New in Box! 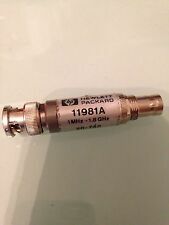 HP Agilent 85052-60010 DC to 26.5 GHz, 3.5mm, Lowband Load. For 85052x. Tested! Lowband Load. 3.5mm (M), 50 Ohm. 8920A RF Communications Test Set. HP / Agilent 08920-90012. Vol 2 User's Guide. Faxitron X Ray Systems. HP / Agilent 5081-9519. HP / Agilent 8762B Opt T24. Option T24 (24 V Input / 5 V Output TTL Remote Indication CMOS Compatible). SPDT Coaxial Switch. Wideband Amplifier. 0.1 to 2.0 GHz, 20 VDC, 300 mA, SMA (F). Agilent (HP) 04291-18020. Sample Program Disk. Rev: A.02.00. For 35670A (AY6). Agilent (HP) 35670-66522. BNC Connector Board Assy. For 8753D, 8752C, etc. HP / Agilent 08753-60208 (B-2921-45). 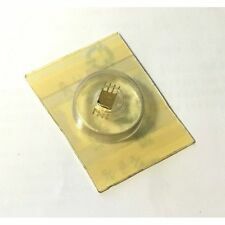 Agilent (HP) 08920-61166 Receiver Module, for E6380A, etc. For E6380A, etc. Agilent (HP) 08920-61166. Receiver Module. Coaxial SPDT Switch. Agilent / HP / Keysight 8765A-024. SMA (F-F-F). DC to 4.0 GHz. 2 Watts CW Max. Agilent / HP 5087-7042 (5087-6042) 26.5 GHz,3.5mm (M), VTO assy. For 8515A, etc. For 8515A, 86030A,etc. Agilent / HP / Keysight 5087-7042. 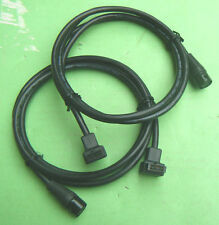 Includes: Ribbon Cable Assy. & Board Assy. 3.5mm (M) All Ports. 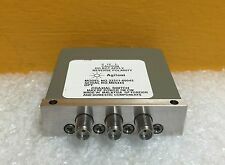 83554A Source Module 26.5 to 40 GHz R-Band System Manual. HP / Agilent 03586-90002. Vol 1 Service Manual. Manual Changes. Agilent /HP 5086-7402 /5086-6402 Sampler.For 8510C, 8511A, 8514B, 86030A.Tested! 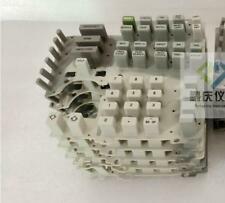 For 8510C, 8511A, 8514B, 86030A, etc. Agilent / HP / Keysight 5086-7402. Sampler Assy. 8920A 8920B RF Communications Test Set User's Guide. HP / Agilent 08920-90203. Agilent N1022-90001. 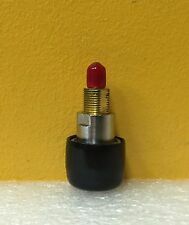 Active Probe Adapter. User's Guide. 8757A Scalar Network Analyzer. HP / Agilent 08757-90043. Service Manual. HP / Agilent 08753-10020. 8753C Network Analyzers with Vectra Personal Computing using Microsoft QuickBASIC 4.5. Agilent 5962-8198. Programming Guide. Edition 1 November, 1997. Agilent J6826A. T1/E1 LIM Module. T1/E1 Balanced Monitor Tap. 8341A Synthesized Sweeper. HP / Agilent 08112-90002. 10 MHz to 20.0 GHz. Service Manual. Agilent J6824A. With Agilent J6801A. T1 / E1 Line Interface Module. Spectrum Analyzer User's Guide. HP / Agilent 5962-5066. Agilent / HP / Keysight. SMA (F-F-F). Coaxial Switch. DC to 2.0 GHz. 24 VDC, 9 Pin. 3589A Performance Test Guide. HP / Agilent 03589-90001. Includes HP 35689A/B. 8349B Microwave Amplifier. HP / Agilent 08349-90017.